PRmoment India: What are the top 3 factors the jury would look for in a successful applicant? Sujit Patil: First of all, functionally, I would like the candidate to have an ability to understand the business levers, issues and use communication to achieve strategic objectives. An aptitude to craft (write and design) appropriate messages, assimilate content, use research data to generate insights and have a measurement focus. Skills like campaign design, conceptualization and implementation through traditional as well as new media would be like an icing on the cake. Secondly, as the lines that once alienated CC&PR from marketing and advertising blur, there is a huge opportunity for professionals to retain their core PR strengths, yet also adopt the new media and other contemporary platforms. I strongly feel, going forward, PR professionals will find themselves increasingly doing work that goes beyond the traditionally rigid boundaries of earned, owned, or paid media. Would like to see some evidence of working across these genres and creating an impact. Third, It’s an era of advocacy and influencer engagement, we are seeing more and more proof of an editorial approach to brand building. Online reputation management and crisis communication has garnered greater prominence. Skills around this vertical would become necessary going forward. I would like to see some exposure and success stories in this space. PRmoment India: Your suggestions on how to approach the section on “How to do PR for PR”? Sujit Patil : Today, PR significantly impacts multiple levers – corporate reputation, employee retention, crisis mitigation, sales, product brands, stock price, stakeholder engagement and many more. We as a PR community (and even Marketing, Finance, Strategy, Sales, HR and other functions) know it with conviction that PR works. Then, why do we constantly hear from PR professionals (agency as well as in-house) that PR does not get the due recognition it deserves. With this as a background, one hypothesis is that PR needs more PR. Picking up from there, we would like to know from the entrants as the next generation of PR leaders, what do they think should be done to change this situation? The question is, what would you as a leader do differently to ensure that you get the respect you deserve. A small note would help us understand your perspective and contribution towards raising the bar of our industry. 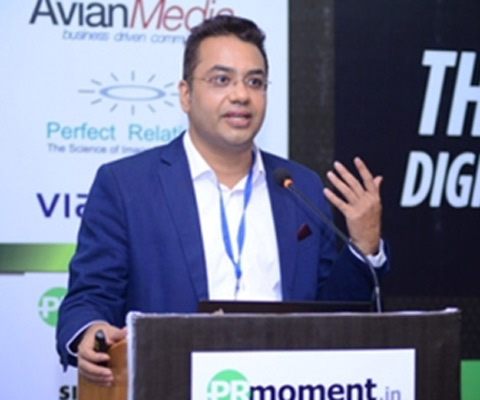 PRmoment India: Any non-PR skills attributes you look for in the entries? ( aspects like stability, ethics)? Sujit Patil: Assuming the entrant is functionally awesome, on the behavioural side, I would like to see evidences or demonstration of interdependency, ethical behaviour, responsiveness and high energy levels apart from an ability to build relations, inspire trust and influence internal stakeholders. 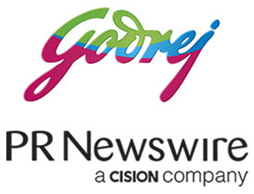 PRmoment India: Why are the 30 under 30 professionals so important for the future of PR? Sujit Patil : I would tend to believe that the 30 under 30 professionals are absolutely important for the future of PR. The pace of change in the past decade has been significant. With multiple stakeholders across multiple businesses and geographies; within and outside the organization enabled by a global information landscape, the current business environment is fast evolving and dynamic. It has numerous external stimuli impacting business performance which also include a global economic scenario that demands transparency and sustainability. Also with multiple disruptive modes of communications and platforms for data consumption by the stakeholders, I personally feel that the operative scope of PR has significantly gone up. With more trust on testimonials and influencer advocacy rather than any paid noise, the need of PR would only go up. The burning question is whether we have talent to match the demands of this changing landscape. The 30 under 30 brigade, I feel are the icons who would lead the next wave of PR in the country. Being more digitally savvy than the previous generation and armed with a wealth of knowledge spanning across genres, I am quite bullish that they will be able to get PR on the forefront of business processes.